Deutsche Bank Research On European Bank Recapitalization, Lending & China EU bank funding eases but risks remain The Spanish Bank Bailout – What to watch for German Court Opens Door to Über-Empire and Über-Collapse “Greece and perhaps Portugal need to exit the euro at some point” – Michael Spence Spanish Bank Bailout Analysis – According to EFSF FAQ Report Raises Questions About Central Bank Gold Holdings Spain: Fiesta or Siesta? 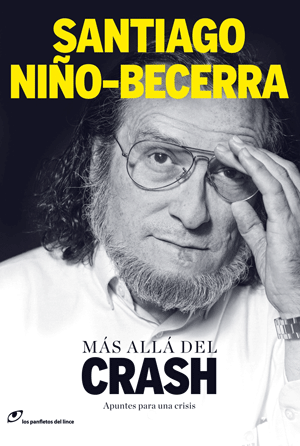 In recent years, Santiago Niño-Becerra has achieved prominence in the Spanish media because of his prophetic books, which started with the bestseller El crash del 2010 that catapulted him into the limelight. His critics emphasize miscalculations in his predictions and accuse him of exercising a kind of futurology. Although the ideas of this Economic Structure professor at the Ramon Llull University in Barcelona evoke passages from Huxley’s Brave New World, the fact is that his devastating views rhyme with the current times. 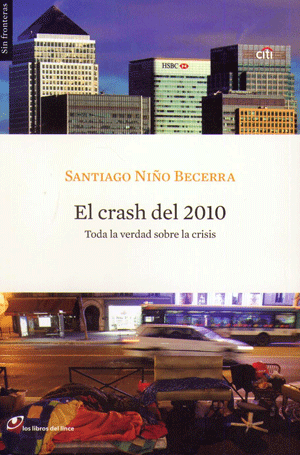 Niño-Becerra sees a bleak future for the world because of the impending end of our “economic model.” The scenario for Spain is as dire, as this Catalan economist foresees a profound impoverishment of society, the virtual disappearance of the welfare state, increased inequalities and ultimately a demographic reordering in which many people will be left out of the production system. If your forecasts are correct, we are not talking about a difficult period of transition towards a new model such as the Industrial Revolution, but rather the sudden and permanent displacement of a large segment of society. What’s the outcome of such a displacement? Indeed, it is a paradigm shift. The model that was implemented after the 1875 systemic crisis evolved into social Darwinism, an arrangement based on the aggressiveness of capital over labor. This model was exhausted in the 1929 systemic crisis. The model that replaced it, which has been ours, sought to maximize profit through full employment and redistribution, consumption and credit. This model, as well as the mega debt, has run into this systemic crisis. Any new model will look for the optimal use of resources through productivity, but at the expense of very high structural unemployment and the impoverishment of broad sections of society, which will disappear or be greatly thinned. The middle class, the precious and useful instrument invented by this model, will be gone. But society resists such determinism. 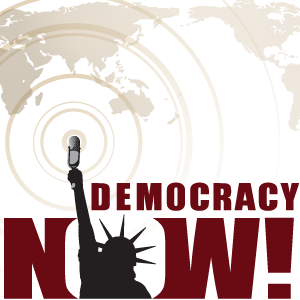 What is your assessment of movements such as the Spanish Revolution (15-M), Occupy Wall Street, WikiLeaks, Anonymous and the like? An exception tolerated so that people think that opposition and resistance can be accommodated within the system. The trial of the former Icelandic Prime Minister, Geir H. Haarde, is more of the same. Because if you think dispassionately, what has been achieved? What has the Spanish Revolution accomplished? You have argued that the euro cannot collapse, but how can the EMU embrace Spain under the scenario that you describe? The euro, I think, will not collapse because it is not in anyone’s interest: all would be lost and no one would win anything. However, they will certainly limit membership – they’ll close the door by making it difficult for new applicants to join; for example, the agreement of 25 EU members to limit the structural deficit to -0,5% of GDP by 2020. That also means losing sovereignty. Increasingly, they will dictate more rules, more regulations and the EU/EMU will become more technical and less political out of necessity, and not by desire. Basically everything is a matter of GDP structure and productivity. Common currency areas tend to harmonize prices, but not productivity as it depends on things such as investment. Spain joined the euro with a pathetic productivity, but benefited from the fact that everyone was interested in believing that the quality of public debts of all members was the same. Spain grew driven by a bubble that benefited business people and quite a lot more, but when borrowing capacity was exhausted and the quality of bank assets came into question, well, goodbye to that. No one can be a leader in Europe because no one is trouble-free and some are very troubled. Germany can’t lead anything because it is a giant with feet of clay: it has resources and production capacity, but lacks ideas. What will Germany do when others stop buying from it? Nobody talks about this because there is no answer. Then, how can our presence be compatible with a monetary union in which the needs of Germany are so different from ours and the ECB’s mandate is not entirely independent? I think the trend is towards a global monetary coordination ‘dollar-euro-yen-oil’, in a narrow fluctuation band (the monetary snake version of 2010). This is a step towards the implementation of a global currency. Coordination gives monetary stability, but what will happen is that they’ll make us memorize the new rules and follow them to a tee. As for your views on the demise of the welfare state, and thinking about healthcare, why not take into account that, as it has happened with other technologies, advances in medicine will result in a highly effective health system, cheaper and more accessible, though less labor intensive? Technological advances that reduce costs will be implemented, such as telemedicine, but preventive medicine has limitations: To reduce the risk of high cholesterol one should eat in a rational manner and avoid junk food, but this is expensive – particularly during times of economic hardship. The austerity measures will translate into lower life expectancy, even with technological advances and preventive medicine. What about those responsible for this crisis? Aren’t there people responsible for the “too big to fail” notions, selective “rescues” and political irresponsibility that have undermined the basic principles of the free market capitalist system? What do you think is fairest, to to lend money at 1% to Banco Santander, or to Pedro Perez to service his mortgage? I do not know about fair, but profitable… I think either nobody is at fault or we are all guilty. Accountability, though, is a different thing. The central banks knew what was happening in the financial institutions in each country because they had the actual numbers and did nothing to prevent the catastrophe (by putting a ‘spoke in the wheel’). Had they intervened, however, there would have been no growth, and everyone wanted growth. There were also individuals, companies and local governments who took out loans they could not afford. But nobody wants to discuss this because it’s ugly. What about the actual management of the crisis? The narrative, in the case of Europe, is to use all kinds of “tools” to “save the euro” and “restore” the economies. Like the ECB taking dubious assets to lend to insolvent banks – which in turn buy sovereign bonds from countries with unsustainable debts. And these banks are even distributing out dividends while there is no credit in the real economy. I think it’s temporary: nobody can pay what they owe and nobody can receive what they are owed. It is said that only banks are receiving funds from the ECB, but powerful companies that need funding are also in receivership. There is no credit in the real economy because there can’t be: who will loan money to a company that has no orders? As for the banks, they have made a blood pact: no bank will collapse. I think there will be a series of haircuts and debt restructuring measures, and these will certainly have an impact. In his “In Praise of Idleness”, Bertrand Russell said, “If the ordinary wage-earner worked four hours a day, there would be enough for everybody and no unemployment – assuming a very moderate amount of sensible organization.” Couldn’t that be a base for the future model? That work was published in 1932, during the hardest phase of the Great Depression. Today’s productivity is hundreds of times greater than it was then, or at least, is likely to be. Except in very specific sectors, I think the solution is not to further decrease the hours of labor, as it would rest productivity and scarce resources would be used inefficiently. I think it’s the reverse: structural unemployment will be high and we will nonetheless generate the necessary GDP. What to do with that 30% of young people with a higher level of education than previous generations, but without access to paid work? Should they get subsidies in any way to survive? How would such a high level of structural unemployment affect the education system? I rather think of underemployment: people working ‘bits’ of their lives, a few months, sometimes a few weeks, sometimes in jobs below their qualifications, and most with partial contracts. And many, many moonlighters. Those who are highly competent will be seamlessly moving from project to project. Continuing advances in communications and crowd sourcing will favor these processes. But I think that structural unemployment will be very high and, if employment is continued to be measured in terms of ‘full-time employment”, the number of unemployed people will be permanently high. Yes, I think the implementation of a living allowance to cover the absolute minimum will be necessary, and that can take the form of food stamps, so from there people will have to take responsibility for themselves. The entry into the school system will be limited to the needs of production and for the best pupils. 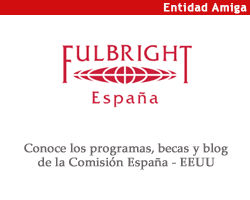 What is your assessment of the policies so far undertaken by the Spanish government? How do you “soften” the road ahead? Spain will have to cut 55,000 million euros to reduce its deficit and meet the 3% goal set for 2013. I think this is science fiction. There will be cuts, taxes will go up, but Spain will grow even less and it will not comply with such a goal. It will be a bad journey, and one that is impossible to “soften”.